The world of flash is rapidly changing. 12 months ago I was using my Elinchrom flashes in the studio and my collection of Speedlights on location. But new battery technology has changed what I use and how I shoot. The perfect example being the Streaklight 360ws I reviewed earlier this year and have used extensively ever since. 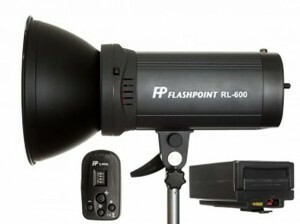 The Flashpoint RoveLight 600 from Adorama promises something that until recently sounded impossible. A full sized studio monolights with an internal battery, capable of replacing both mains powered studio heads AND speedlights without breaking the bank… I had to try one out! The first thing you see is the well-made carrying case, that’s always a good sign. Inside the case is the Rovelight 600 head, a 6600mAH rechargeable battery, a multi-voltage battery charger and a radio trigger. There’s even a bit of extra room in the case for you own bits and bobs but oddly there’s no room for the included 8″ reflector. At 600ws the Rovelight can blast out plenty of light at full power and although the power can only be adjusted in 1/3rd stops but it does go all the way down to 1/128th power. The power settings are controlled and displayed on the rear LCD which also has all the usual controls you’d expect on a studio head although they can take a bit of getting used as the buttons are small and many are multifunctional. Thankfully the remote trigger can also change the power and trigger the flash for test metering too. High Speed Sync (HSS) is available (with a compatible trigger) and there are also stroboscopic and pre-flash ignore modes. At the front of the Rovelight is a user replaceable flash tube, a 7W LED modelling light and either a Bowens or FlashPoint mount. This isn’t changeable to make sure you order the right one for your existing softboxes. To put it another way, at full power the Rovelight produces roughly the same light output as eleven speedlights or two Streaklights. There are two speeds of recycling the default being the slowest which is the first thing I changed. At the faster setting a full power recharge takes 3.9 Seconds, half power 1.2seconds, quarter power is basically instant. As there’s no mains power option with the Rovelight, but I found the 6600mAH battery was easily up to the job of a prolonged photo shoot. So far everything has been very positive with the Rovelight but this is a flash unit with that has had to make compromises to hit its price point and performance. Some things are just niggles, like the small LCD screen, the fiddly little control buttons and the fact that the power up/down buttons are upside down to my eye. Other things are more annoying. Let’s start with the modelling light. One of the plus points of a studio flash over a speedlight is the chance to pre-visualise the light by using the modelling the light. The Rovelight has a modelling light but it’s a pathetic 7w LED which is every bit as dim as it sounds. Although it’s visible when used with the just a reflector, the first time I used it in a softbox I had to double check it was even on and sadly it was. Another pain point was the radio trigger. At one level (firing the flash) it never fails but in every other way it’s pain in the bum. There’s no LCD so you have no idea of the power setting but worst of all the buttons lack quality to the point that you’re not sure if you pressed it or not and often a single press will register multiple times. Many is the time I would press the power button and turn my studio into a 80’s disco with stroboscopic flashes. Lastly there’s the weight. The Rovelight and battery weigh in at a hefty 2.5KG. Add to that a medium sized soft box and you won’t be surprised to hear I had to use the heaviest light stand I had in the studio. Let me be clear here, the Rovelight is not for everyone. If your flash gear never leaves the studio, stick to mains powered flash heads which do the same job for a lot less money. If like me your lighting solution needs to be a bit more portable than there’s much to like about the Rovelight. Although there are some negatives in my mind, the positives are potentially massive and if you can look past the quirky controls and hopeless modelling light than you’re left with a go anywhere flash that packs a lot of punch. So given the choice of just one light, would I buy a Rovelight 600Ws over a Streaklight 360Ws? As it stands now, probably not but it’s a tough call. If the Rovelight had an LCD equipped remote AND a modelling light that was a lot brighter, I’d be sold. How was the recharge time when the battery was low? Why would you want a slow recycling time? I’ve not had hands of time with the DG600, it’s a 110v unit and we run on 240v here in the UK. Looking at the specs it’s a lower powered 300Ws flash where the Rovelight has a bit more punch at 600Ws. In theory that’s only one more stop of light but in the real world that matters. The controls on the DG600 are basic but very practical. There’s no remote trigger, no high speed sync, no preflash ignore but that might not bother you. If all you need is a reliable, low cost flash that only lives in your studio then the DG600 might well be perfect. I saw your shoot of “little red riding hood” using this unit and it is what I have been looking for. a portable flash unit for the field. Good review, so lets hope the manufacturer saw this post and will make some changes. The light stand is just A. N. Other unbranded. The Rovelight had either a Flashpoint or Bowens fit (depending which you order) and also has a standard umbrella slot below the flash. Hi. I’m new to flash and strobe game. I like these becasue I’m banging my head to go flash or strobe first. These solve both issues. Mobile and also can do action freeze and power if needed. Can you tell me should I use a separate triggering system. Is it stable? Hi, Gavin. How are you? I’m planning to buy 2 or 3 of them, but I can’t find a way to buy the spare battery separately. Do you have a link to buy only the batteries? I’m seeking for Jinbei HD600 II batteries also. No success. I have three of these (one first gen. Jinbei and two Flashpoints). Which trigger do I have to get to be able to use HSS? Love your videos and hope to meet you someday down the road when visiting the US. Quick questions: Do you need a separate trigger for HSS? or I can just the one that comes with? How long did it take for the battery to recharge? Thank you in advance and keep up the excellent work! You need a HSS trigger, the one in the box isn’t HSS… and I wish it was! Recharge takes a couple of hours from flat(ish) to full. I am an ameture photographer. I am from Singapore. I am impressed with your video little red riding hood. Now I want to buy the RL 600 WS. Problem is Adorama doest not ship to Singapore. I’d there any way I can buy the product. 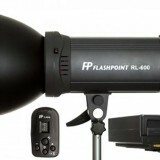 I don’t know of anywhere local to you but I’m sure you can find similar flashes which will do the job just as well. Nice review buddy, how thsee compare to the einsteins paul c buff ? I like the portability if them I’m a wedding phorograoher .. thoughts ? Hello Gavin – Yes it’s me again 🙂 – I have a couple of other questions, when you buy from Adorama in the US, what kind of charges can you expect to be added for the UK? I’ve been in the US for the last 5 years, but still unsure. Also when you say you need a HSS trigger what would I need for a Nikon D800e, at the moment I am just using the pop up flash for triggering. Hi Gavin, I currently own a RL600b head and am considering getting a streaklight 360 or 2. I shoot with an E-M1. My question is, what would you say the best way to use these 2 flash systems together would be? Does the streaklight controller communicate with the rovelight? The Rovelight and Streaklight use different remote triggers which are NOT compatible… annoyingly! However both the Streaklight and Rovelight have built in optical slaves so firing them in a group is simple enough. I tend to use the remote trigger for the streaklight(s) on the camera’s hotshoe and fire the Rovelight via it’s optical slave. One more question, if you have the streaklight trigger connected with the USB, can you still trigger the flash via hotshoe? Example, if I put a 3rd party trigger on the hotshoe of the streaklight, would it still trigger the flash, but let me use the controller to control the power? Thanks for your reply Gavin! Can you buy these in the UK? Ah, that’s a shame. Thanks for answering my question. I just bought my Rovelight, it arrives Thursday, cant wait to get it outside! I am thinking of getting a 48″ Octo….did you say earlier what size modifier you were using? I appreciate your videos, keep up the good work. Question, with the red riding hood shoot. I cant remember, but did you go into HSS mode at all with any of the locations? I don’t use HSS mode as it’s just not bright enough in the woods. 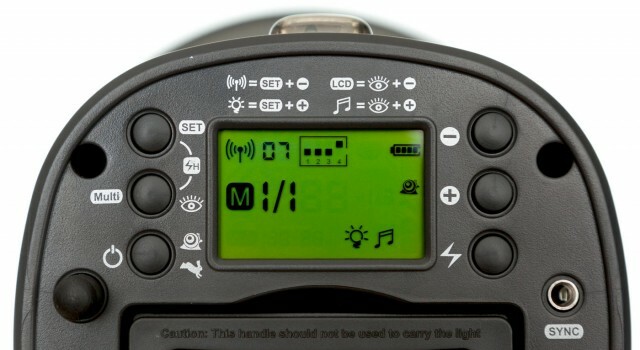 Also as HSS is different for each camera brand, the included radio trigger is non HSS. Just ran into your Rovelight video. Great demonstration of it and the light meter. I just picked up a used Rovelight equivalent (Jinbei) and had a question about using gels, which few people apparently do with strobes…… I’m interested in using a CTO on my Rovelight in sun overpowering situations to help bring out a blue background, particularly sky… is this more bother than it’s worth? Are there any gel options for the Rovelight, or any other attachments available for the reflector? The wireless trigger is a concern for me. Looks cheap and easily damaged. 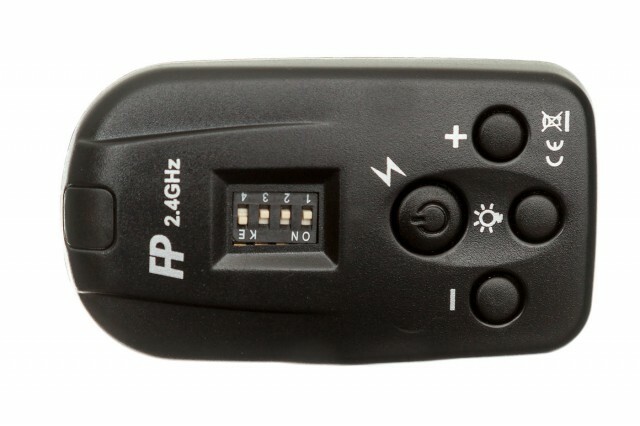 Can any other wireless triggers be used with this, such as the Yongnuo YN622C and triggers and if not, can the trigger be easily replaced? I’d like to use this as the main with other strobes set up for backlight etc. Can you trigger the Rovelight 600 and Streaklight 360 with the remote that comes with the Streaklight? As you know there has been a “recall” on the TRS triggers for the Rovelight. Hello Gavin, Is it possible to use pocket wizards to fire the RoveLight? I want to take advantage of the HSS. Fire yes, control no. I’ve not tried them with HSS.